In describing this event, I use the terminology of a 'dream' or 'night vision' hoping this will help us to understand the realism of this rare encounter with a heavenly being. This was so real that it seemed as though I was there in my human flesh. I couldn't tell whether I was in the body or out of the body. I couldn't tell the difference, for I was in His Spirit at the time. But I'm not going to concern myself with trying to understand whether this was a dream or vision because either way it has the same meaning. It's been said that a dream interpreted is equal to prophecy. The voice said, "Now that which is to be done will now be done," and the interpretation is contained therein. Even in the Old Testament in the Book of Daniel 11:36, the Lord said to Daniel, "For that that is determined shall be done;" reaffirming the fact that God always keeps His Word. Finally, having said what has been said, we will precede in sharing this experience. So I used the words that were said within me as the title for this message. As you read you will see how it all fits the situation that began to occur following this event. It was during the next few days of having this encounter that I turned the television on and it showed on the news where things had started to happen in Egypt; now it's in other parts of the Middle East. This whole area has begun to come apart after years and years of relatively calmness. The leader in Egypt that had been in power for thirty or forty years was overthrown as is now well known. This all happened very suddenly, and now the whole Middle East is shaking and unrest is spreading into the rest of the world. We spoke briefly of this in another message entitled, Reaching the End Time and the Fullness of Christ. So we see what is taking place in the natural worldly realm. But there is a spiritual side of this, too, and we want to be sure we understand what is happening as all this comes to fruition. 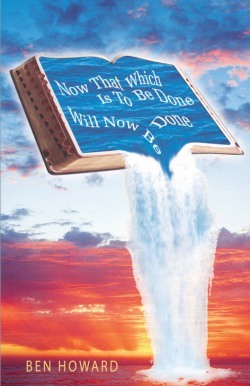 Now that which is to be done will now be done is only seen in the earthly realm by the natural/carnal man. But the spiritual man sees both the natural realm as well as the spiritual. So the wife of the Lamb is wide awake and as Paul said in 1 Thessalonians 5:1-8, "But of the times and the seasons, brethren, ye have no need that I write unto you. For yourselves know perfectly that the day of the Lord so cometh as a thief in the night. For when they shall say, Peace and safety; then sudden destruction cometh upon them as a travail upon a woman with child; and they shall not escape. But ye, brethren, are not in darkness, that that day should overtake you as a thief. Ye are the children of light, and the children of the day: we are not of the night, nor of darkness. Therefore let us not sleep, as do others; but let us watch and be sober. For they that sleep, sleep in the night; and they that be drunken are drunken in the night. But let us, who are of the day, be sober, putting on the breastplate of faith and love; and for an helmet, the hope of salvation." It is a glorious thing to know the wife of the Lamb has been brought to complete maturity as we have been baptized into the body of Christ; clothed in fine linen, clean and white, and married to the Lord Jesus Christ. Now we know that the rapture is just ahead as all the preparation has been made. Please read the book for further understanding.